Thank you, Ira, still very popular with the CCCA show crowd. My Uncle Bert had this car. I remember when he came to the shore to show it off. I was four and got yelled at for fiddling with the electric windows. 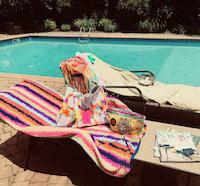 It had matching leather seats. I think his was black with red leather seats. Quite a hunk of car. Especially for car starved Americans after the war. 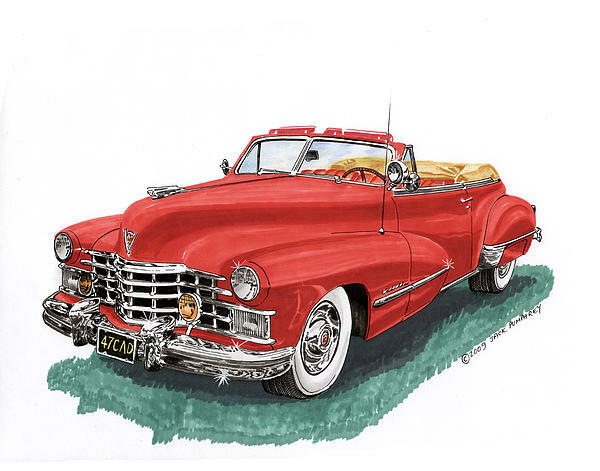 GM and Chrysler were still using their 1942 designs. Why waste what nobody saw. Beautiful rendering. 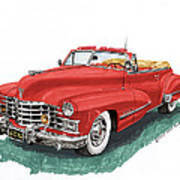 Buy this print with confidence knowing you have a 30 day guarantee from Fine Art America, Classic car paintings, classic car art, 1947 Cadillac series 62 convertible, framed art of Cadillacs, Cadillac Art, Art of Cadillacs, Cadillac Convertibles Framed prints of cadillacs. 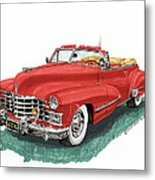 Framed canvas prints of cadillac fine art. 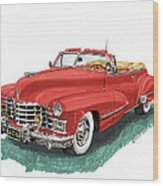 Famed art of cadillac hard top convertibles. Framed art of great american classic cadillacs.